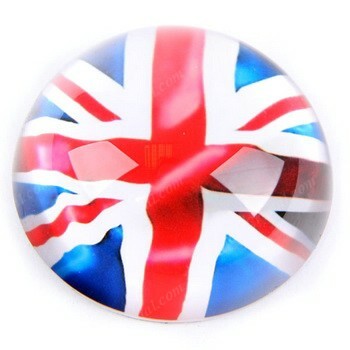 Color printed crystal dome paperweight, custom imprinted glass halfsphere paperweight, personalized UK crystal dome paperweight, UK Crystal Paperweights. Satin lined presentation box (with many colors are available both for box color and satin color, like black, green, red, blue, golden, pink, purple, etc). And we can make your logo or custom art foil stamped on the box with golden or silver.